Les Standiford has a knack for telling stories — only his stories are often about real people and actual events that seem so obvious until you realize you don’t actually know the story at all. This month, he reveals the unknown and forgotten details of Miami’s 34-year journey to bring a world class performing arts venue to the city — the Adrienne Arsht Center. 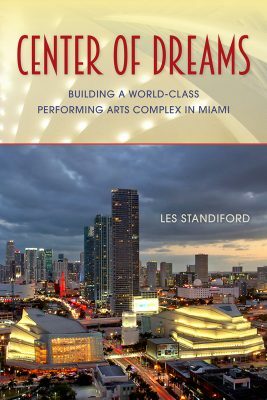 Center of Dreams: Building a World-Class Performing Arts Complex in Miami is the latest book authored by the FIU director of the Creative Writing Program in the College of Arts, Sciences & Education. It is the first comprehensive account of the behind-the-scenes maneuvering that allowed the most costly, most controversial public works project ever debated in Miami to be completed. Though he uncovered no corruption or scandals surrounding the project — which, yes, really took 34 years to plan, find a location and construct — he did find a variety of culprits that added to the excessive timeline. There was great competition over the choice of sites. There was great competition over selection of architects and contractors. 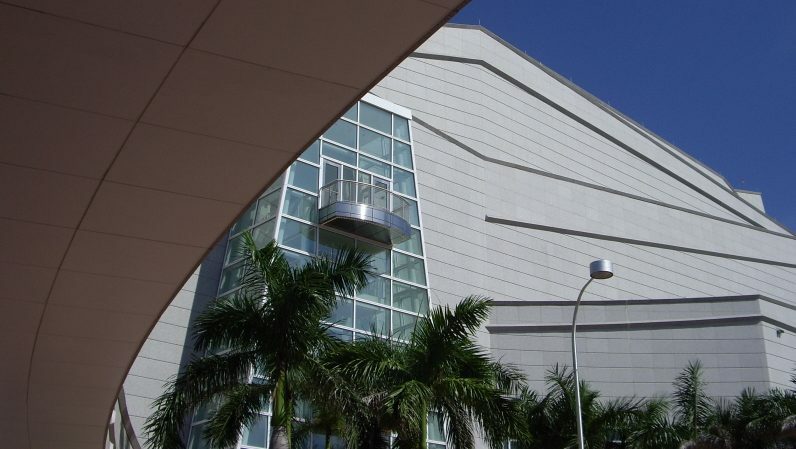 There were those who did not believe Miami needed a performing arts center that could rival the Lincoln Center in New York or the Kennedy Center in Washington, D.C. There were mounting costs as the project moved along. With an initia l budget of $169 million, costs ballooned over the years to $469 million due as political bickering, construction problems and other issues led to costly delays. No money, Standiford points out, came from Miami-Dade County taxpayers. Much of the funding came from bed taxes paid by tourists. The book does not end with the grand opening of Miami’s cultural jewel. Even after the project was complete, the drama was not finished. Standiford credits a few committed citizens in the book with the vision and effort to see the project through to completion including Miami attorney Parker S. Thomson, who was a staunch advocate for the arts.